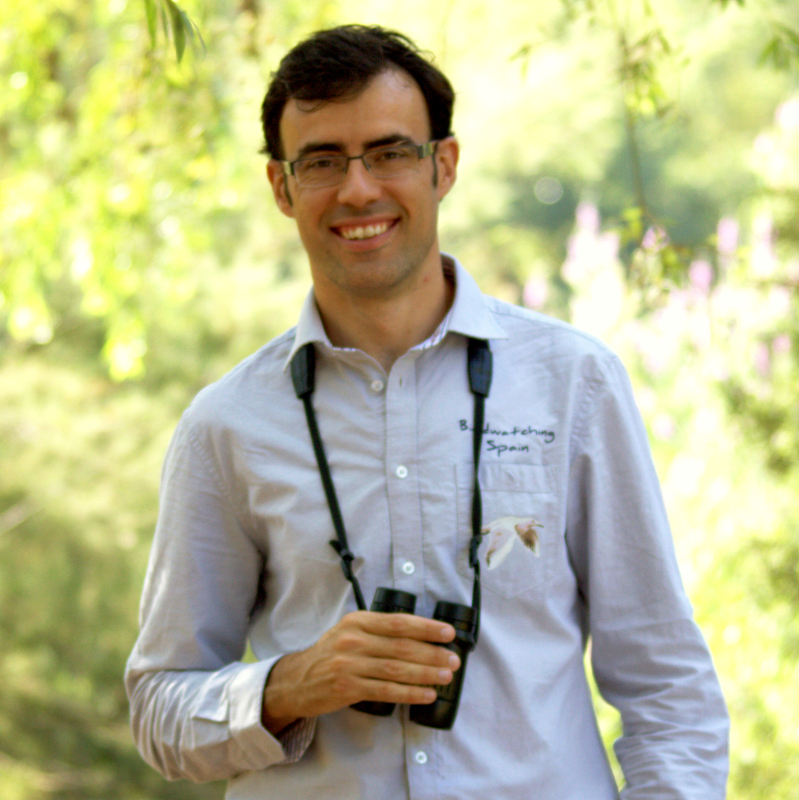 Pau Lucio is the Tour Manager in Birdwatching Spain and vice-president of the Association of Birding Guides of the Valencian Community. He was born in Gandia (Valencia) and has been interested in wildlife all his life. Pau studied Forest Engineering and got a MSc. in Environmental Science at the Universitat Politècnica de València. He has studied the flora and fauna in the area intensely and extensively. 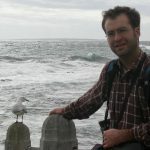 As a result, he has written papers about the ecology of the Mediterranean forest, Audouin’s migration patterns and also related to wing shape differences between northern and southern migratory warblers. Pau collaborated with Wildfowl and Wetlands Trust Slimbridge (UK) in the reserve. 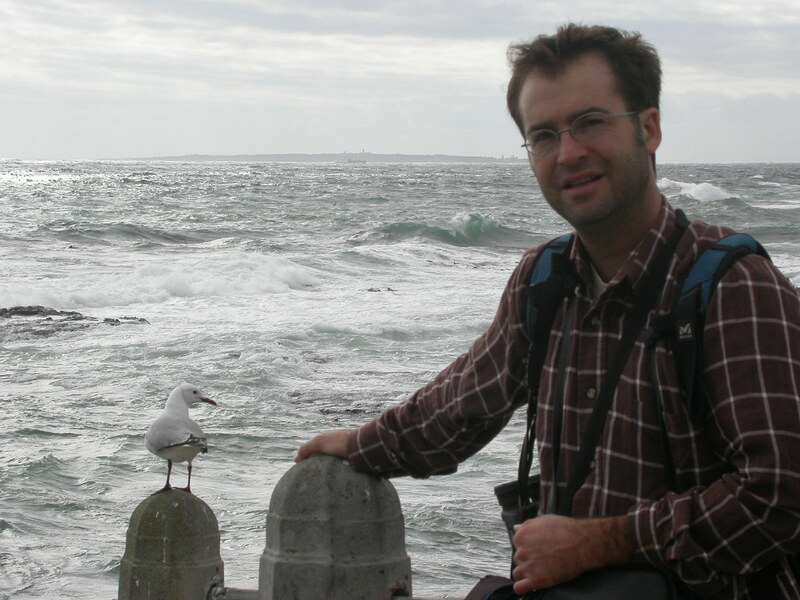 He is currently involved in conservation projects about the importance of Spanish wetlands for migrant birds. He guides tours all over Spain and also works as a freelance for other wildlife companies such as Honeyguides, Terra Unica and Greentours. When Pau Lucio is not involved in planning trips, most of his time is taken up by studying the butterflies with the NGO Zerynthia (Butterfly Conservation Society). Furthermore, Pau also enjoys photographing wildlife. You can check out his butterflies, dragonflies and birds photo galleries. He is fluent in Spanish, Valencian and English. Julian Sykes is in charge of organising and guiding our tours abroad. India, Australia, Morocco, Canada, Costa Rica, Egypt, Jordan and Finland are some of the countries he has visited recently. 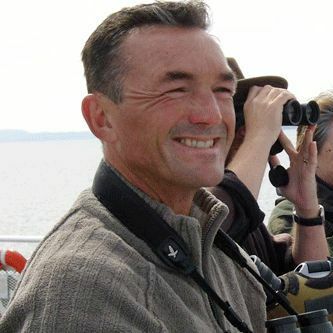 He has been interested in nature and the natural world all his life and has had the good fortune to be able to combine his love of wildlife and his experience as a guide to develop these holidays for you. He started operating in Spain as a professional wildlife guide several years ago and since then he has developed an excellent reputation, working at the same time for large tour operators. This has allowed him to travel widely to many off the beaten track places, witnessing astonishing wildlife. Besides, he works as a freelance for Speyside Wildlife. He was born in UK, but has spent the last 20 years living in Oliva (Spain). He is fluent in English and Spanish. Javier Barona is our expert in carnivores and mammals. He got an MSc in Biology at the Universitat de València. His research has been focused on carnivores such as: Otter, Polecat, Badger, Iberian Lynx, Wildcat and Racoon. As a result, he has published several publications and he is currently working on a book about tracking carnivores in the Iberian Peninsula. Javi has travelled widely in Africa and South America working with birds and mammals. He is also working as a biologist in different natural parks around Valencia region. About 10 years ago, he bought a country state in “Macizo del Caroche” in Valencia where one of the first dragonflies reserves in Spain was created. Besides, there are numerous carnivores in his state, but probably the most remarkable is Algarrobo, the wild Genet that greets to Javi every night!!!! He is fluent in Spanish, Valencian and French. 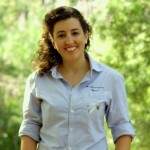 Virginia Garófano is one of our guides in Birdwatching Spain. She was born in Húetor Tájar (Granada). After finishing her degree in Environmental Sciences at the University of Granada, she moved to the Polytechnic University of Valencia. There, she carried out her PhD studies at the Department of Water and Environmental Engineering. In its broadest sense, her research focused on riparian forest ecology and dynamics. She has published several papers related to the effects of river damming on riparian vegetation and instream habitats, riparian vegetation modelling and flow requirements of riparian species. Virginia Garófano is currently involved in a research project related to dendroclimatology, aimed to reconstruct past climate events in the Valencian Region using the information retained in the tree rings. Virginia is our expert in Mediterranean plants and orchids. Thus, she is the tour leader in our Mediterranean and endemic plants tour. She is fluent in Spanish, English and French. Birdwatching Spain is a Travel Agency registed in the Valencian Tourist Board with the number NR-V-149 and CV-Mm2126-V.
We recommed optics Minox. Our guests are welcome to try the best Minox equipment during our wildlife trips.